Tips for a Successful Summer Proposal - Shane Co. If you’re thinking of proposing this season, you picked a beautiful time of year! The summertime is full of fun and romantic opportunities to pop the question. Here are our top tips for making yours a huge success. Warm summer weather means lots of time outdoors! Do you have a camping trip coming up? Maybe a beach vacation? Plan your proposal somewhere that captures the beauty of the season. We recommend proposing later in the day, so you will avoid the blistering heat! You’ll always remember your proposal, but having something to look at years down the road is important. Hire a photographer to capture it all on camera or film! Since it’s the summertime and there are a lot of weddings, make sure to schedule your photographer a few weeks ahead of time! It’s hard to keep something so exciting a secret, but trust us, it’s worth it! Don’t drop hints or tell too many people about your proposal. Try to keep your cool and do not act out of character. Ask a friend or family member to help distract her if you need some time to plan! Summer weather can be unpredictable, with heat waves and sudden thunderstorms, so your proposal may need some last-minute adjusting. Have a backup plan, like proposing at her favorite museum or the place you first met, just in case Mother Nature is not cooperating that day. After you get engaged you will want to tell the world! But take some time after your proposal to celebrate, just the two of you. Let it all sink in. This moment only happens once; you do not want to take away from it by being on your phone. We suggest having dinner reservations planned somewhere special to go after she says yes. 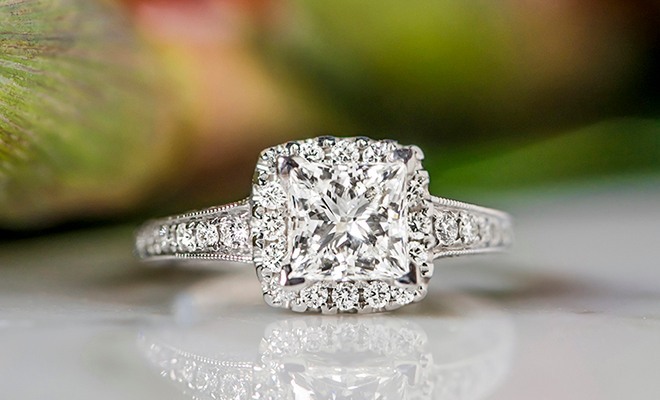 If you still need the engagement ring to make her proposal absolutely perfect, head to your local Shane Co. or ShaneCo.com! Lauren began working at the Shane Co. store in Roseville in September 2015. As a Diamond Consultant, she spends her days helping customers shop for all types of jewelry, and creates moments they will never forget. Her favorite thing about working at Shane Co. is building relationships with the customers she works with. When she is not showing off beautiful jewelry in the store, Lauren spends her time hiking, biking and fishing.